My Baggage are the student shipping experts! We’re the No.1 Student Shipping Company for Anglia Ruskin at the Cambridge. Chelmsford and Peterborough campuses. 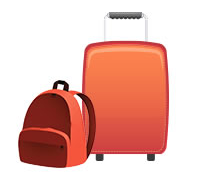 My Baggage is the affordable and stress free way to get your luggage to university. It costs from just £16.99 to send your suitcase and we offer next day delivery. 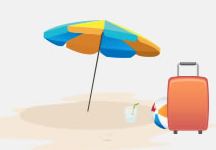 All you have to do is book and pay for your My Baggage shipment online. The booking process is very simple and takes just a few minutes to complete. Once you’ve booked, we’ll collect your luggage from your front door and deliver it to where it needs to go. We offer full online tracking too – so you can keep an eye on your luggage as it makes its way to its destination. My Baggage offers full door-to-door collection and delivery from all houses, flats and apartments. If you’re living in student halls, the driver can not go to your room for security reasons, so your luggage will be collected from/delivered to your halls’ reception area/postal room. Please find out the exact location of this room before you book. Cheap costs for student shipping. Price Match tool, if you find a cheaper price elsewhere. My Baggage provides international student shipping to 200+ countries worldwide, so if you’re an international student at Anglia Ruskin, we can deliver your luggage for you. No matter where you need to send your student luggage to or from, you can get a quote from us any time!